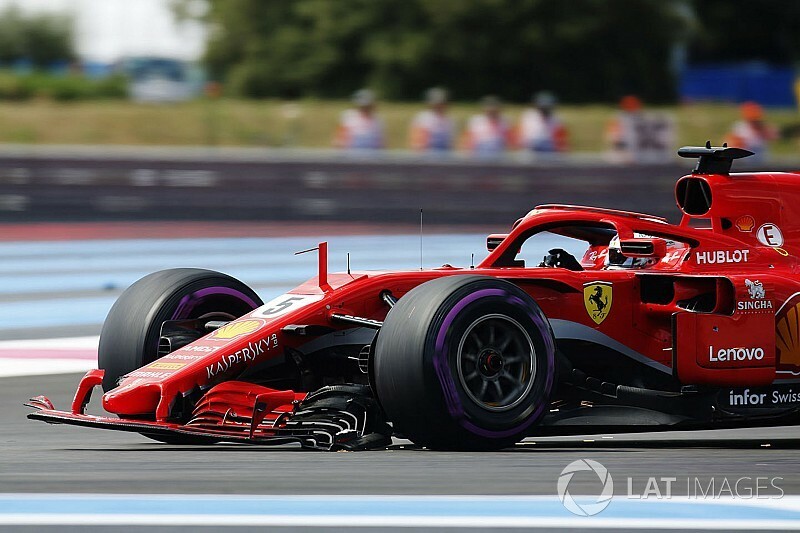 Sebastian Vettel says he had “nowhere to go” in his Turn 1 collision with Valtteri Bottas at the French Grand Prix, because his start was “too good”. 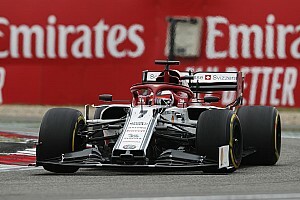 The Ferrari Formula 1 driver made a better getaway than the Mercedes of Lewis Hamilton and Bottas on the front row, but he ended up tucked behind Hamilton in the braking zone for the first corner, where he locked up and slid into Bottas, spinning the Finn and damaging his own front wing. “My start was too good,” Vettel told TV crews. “Then I ended up with nowhere to go. 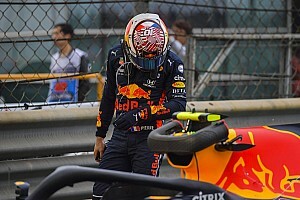 “It was my mistake, I tried to brake early and get out of it, but I had no room and no grip, being so close to the car in front and also next to me. “Valtteri tried to get his position back [on the outside], which is fair enough, but then I had nowhere to go – the turn goes left. 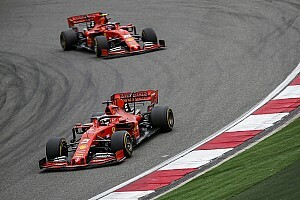 Vettel believes he could have challenged Hamilton for the win, but he said the nature of his race following the incident made it difficult to judge what was possible. At his pitstop for repairs on the opening lap he took a set of soft tyres for a long stint, before then stopping again for a short final stint on ultrasofts. When asked if Ferrari had the pace to win, he said: “I haven’t seen enough of the race, you have seen more than me. “We had good pace, I tried to hammer through the field to recover and damaged the tyres, therefore it is a bit difficult to say. “You are always on different tyres and in the end I had a lot fresher tyres [than the rest]. 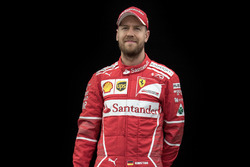 Vettel now trails Hamilton, who won the race comfortably, by 14 points in the drivers’ standings.